After impressing Team USA coaches with the Select Team, Smith and Singler are a part of a group of 10 college players who will be in New York to train with USA basketball. Team USA has an upcoming “friendly” with France, who will be playing without Tony Parker at the World Basketball Championship, at Madison Square Garden on Sunday. Navy has a basketball team? I must have missed that. All jokes aside, congrats to the former Duke captain on his breakthrough into coaching. After a unsuccessful NFL tryout with the New Orleans Saints, Paulus will contribute to the Midshipmen this upcoming season. Having won early season tournaments in three consecutive years, Duke will head to the CBE Classic semifinals in Kansas City against a familiar foe: Marquette. In fact, the Golden Eagles beat the Blue Devils in the championship of the 2006 CBE. Should Duke avenge that loss, they will probably face Kansas State in what is likely to be a tasty Top 5 showdown. 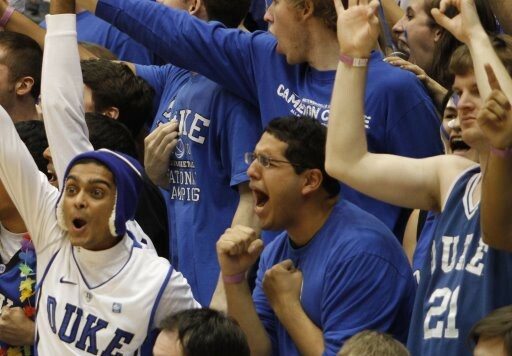 As loaded as the Blue Devils will be in 2010-2011, co-captain Nolan Smith has not let what “could be” go to his head. Sigh, I guess 40-0 really won’t happen. He recaps some of the losses the team suffered through last year and how it molded them into a championship squad. Dawkins and Kelly were part of the team, Team D1 Sports, that beat Team Hendrick in the final of the Pro-Am. It’s great to see the sophomores get more and more experience, especially Ryan, who will most certainly be given rotational minutes this season. Nolan scored 36, 43 and 28 points in three games. Getting all this playing experience so close to basketball season will certainly help the Blue Devils. With his team short on big men, Coach K will certainly have to take an excess of guards to Istanbul and the FIBA World Championships. Needing to make three cuts to finalize the roster to 12, Stephen Curry, brother of Seth, and Eric Gordon will be under the microscope as shooting specialists. Curry, 22, and Gordon, 21, are both young and lack international experience, like many on the team, but will certainly provide shooting and defense to team USA.